Why is Gabe on the poster? I've decided to add a new occasional feature to The Towering Pile! 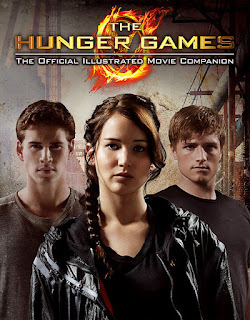 From now on, whenever I see a movie that's based on a book (that I've already read), I'll review the movie, based on both its general merit as a movie, and how well it represents the book. I love seeing movies based on books I like, but also love to pick at every little thing they messed up, so I should have plenty to talk about on this subject! Warning: Movie reviews will almost certainly contain spoilers! My first movie review is for The Hunger Games! People seem to have no shortage of opinions on this movie, and I am no different. For starters, overall I enjoyed the movie. My main complaint was that everything felt kind of rushed. At the end, I was thinking they had hurried the story along too much. Then I looked at my watch and realised that it was a 2.5 hour movie. Holy mackerel! It felt more like 1.5 hours! So I guess they couldn't really have made the movie any longer, and it's not the kind of story you can split in two, as is often does these days. Woody Harrelson was great as Haymitch (I had my doubts going in), and I blame the writers/directors/whatever, not him, for making Haymitch waaaaay too sober. 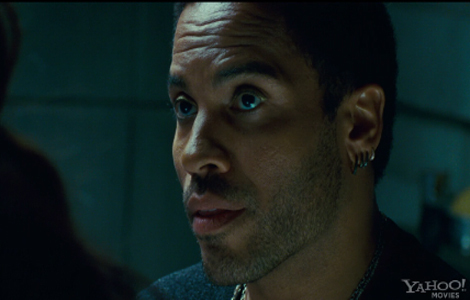 When I first heard Lenny Kravitz was gonna play Cinna, I was like what? Lenny Kravitz acts? But then he totally had me swooning. 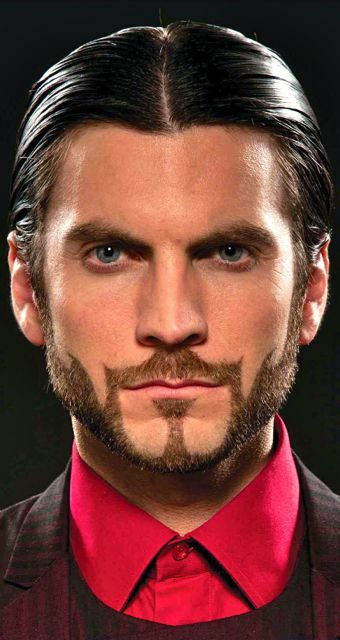 I think the romance in this series should probably be based around Cinna, as he's way hotter than Peeta or Gale. She seriously looks like a fox! I love Stanley Tucci in anything, so of course I thought he was a great pic as Caesar. Weirdly, I pictured Andy Hallett (yes I'm aware he's no longer living). All the other tributes were exactly how I expected them. Foxface looked like they took her right out of my brain when I was reading the book! And Rue. 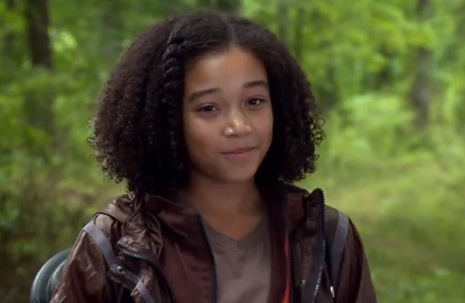 Oh my goodness, Rue. Amandla Stenberg was PERFECT. She's just how I imagined her, and so adorable. When (here come those spoilers I warned you about!) she died, I was like sobbing in the theatre. I really wish she'd had a bigger part. That's one of the things that made me think the movie was too short! I really liked how you get to see more in the movie than in the book. (I wonder if that's stuff you learn in the rest of the trilogy, or if some of it was just made up for the movie...) It probably contributed to the movie being really long and simultaneously hurried, but it was really neat to see how the games are controlled, and the interactions between the game maker, President Snow, Haymitch, the sponsors, etc. Very cool. Now, it's time for some nitpicking. I'll start at the end. What the heck is up with Cato being all changed at the end? In the book, he's all career tribute right up until he falls down with those beast things. But in the movie, his last few lines are him saying that he didn't understand until now that he was going to die, and he seemed to realise how horrible the whole thing was. I thought that was a weird thing to change. Why did they take out the scene where District 11 sends Katniss bread?! That just made me sad. Instead, they showed the district rebelling, which, slight segue here, brings me to what the heck is with the spoilers from the second book?! As if the internet isn't trying hard enough to give me spoilers, the movie has to too, with the uprising, and at the end with Seneca and the berries! I should have read the whole trilogy before the movie, apparently! Anywho. I was also sad that Thresh's part was shortened. I know he doesn't have many lines in the book, either, but they were cut even shorter in the movie. I really liked that part in the book, when Katniss tells him how she sang to Rue and covered her with flowers. One last thing. For some reason, both scenes in which people give that salute to Katniss made me cry like a baby. Sometimes my emotions confuse me. No the salute definitely choked me up every time I saw it and I saw the movie twice. I loved Peeta in the book and didn't think the movie did him justice. I so agree. Haymitch was way too sober. I noticed it right away and it was one of the few critiques I had.